Home Uncategories Share the Love Blog Hop! Also, don't forget to check out the contest at the bottom! I will be giving away one of my books. But first let's take a look at all of these great writers! Click on their names to view their official websites and find so many more goodies! Chelle is amazing writer and blogger. I love her book Is The Grass Really Greener and I left a review of it. She has a knack for taking several different characters and telling their separate stories and then weaving them all together to form one intricate tale! Some of her other books are Reflections of Promises and Real Secrets. You can find her books on amazon here. Here books under the name C. Michelle Ramsey can be found here. "Miss Phyllis", as I fondly call her is one of the sweetest ladies I know. Her books are guaranteed to keep you laughing, especially Every Road to You, which I reviewed here on my blog as well as on amazon. Her books will also leave you fanning yourself, like Falling Into Forever, another one of her books I reviewed on amazon. Her books Taste for Tempation (Another book of hers I reviewed on here and amazon) and Sweeter Tempation are part of the Kimani Hotties series, by Harlequin. Check out the rest of her books here! I think y'all know how excited I get about Chicki! I've reviewed her book A Woman's Worth on both here and amazon; I've also featured her book Till You Come Back to Me in my Book Spotlight and I go completely fan girl with her books. It's no secret that I love to read and write novels that revolve around families and so far Chicki's Stafford Brothers Series has not disappointed. Her latest book Don't Stop Till You Get Enough was released on January 28, and by the time this blog comes out, I know I will have read it and loved it! I've been waiting for this story! I will be spotlighting that book on February 25, so make sure you come back and check it out! Chicki has plenty more novels for you to enjoy and you can find them all here! Another one of my favorites types of romance is when there is suspense. 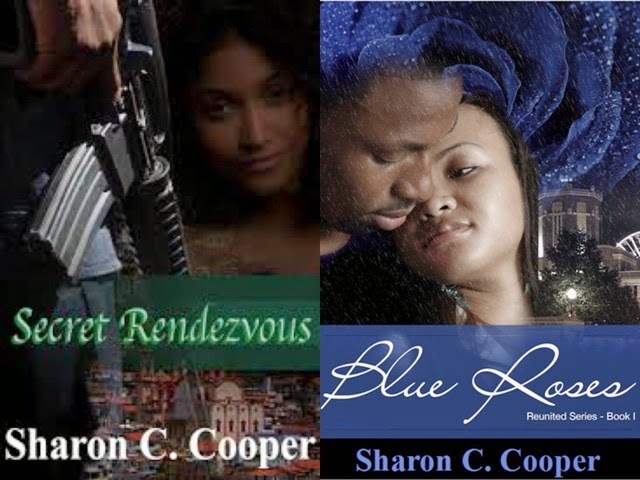 If you're looking for some action (both dangerous and sensous wink wink) Sharon C. Cooper is your go to girl! Her Reunited Series is full of intrigue that will keep you up all night turning the pages (or swiping your tablet)! Sharon also has several books in the Kimani Hotties series (including Legal Seducation, which was a Book Spotlight feature here on my blog) and many more books that can be found here. Not only do I consider Mrs. Jones a great up and coming author, but she has become a very good friend of mine. Every story she writes gets better and better. Her Serendipitous Love Series is one of my favorite series I've read. It includes A Crazy Little Thing called Love, (which I reviewed on amazon) Didn't Mean to Love You and Fall in Love Again ( My review for this one was recently spotlighted on my blog and is on amazon. All of these books are currently killing it on the bestseller charts on amazon! Another one of her many great read is Catch Me If You Can, which has that suspense that I love in romances (check out my review on amazon). I could go on and on about her many great books, (like her Friends and Lovers and Strictly Professional series) but instead why don't you them all for yourself here! And there you have it! These women all have some great reads and I can't wait to see what else they all have in store. Their works are not only great entertainment, but they always inspire me in my own work! Don't fogert to checkout the giveawy below! 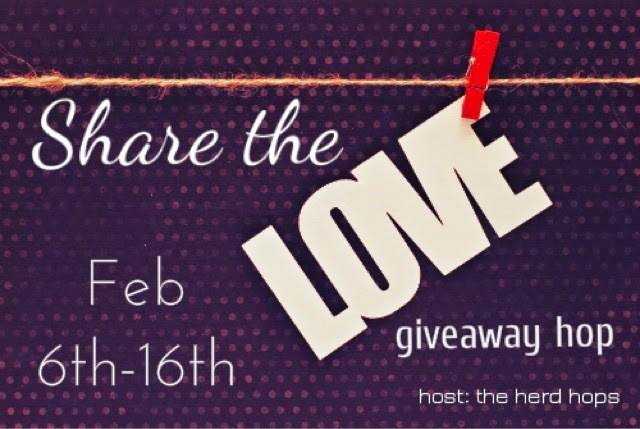 Make sure you also check out all of the other great authors/bloggers participating in the Share the Love Blog Hop, brought to you by The Herd Hops! That was such a surprise, Te'! Thank you for your glowing reviews and your faithful support. Luv ya, girl! Te`, thanks so much for sharing my works. I am truly honored and appreciative. You have an amazing selection of authors here, all of which I support, also. Thanks for sharing their works. It's because of you that I was introduced to both Phyllis and Christina. Two women whose books I am adding to my collection. I hope your readers will check out your works as well. You're a phenomenal author, whose works I impatiently anticipate. LOL!!! Keep up the great work. What an awesome post, Te! Thank you for the mention and the kind words! I am honored to be included on this list of authors! Thank you, Te'! You're going to have me beaming all day! Great blog. Thanks for honoring these romance authors!